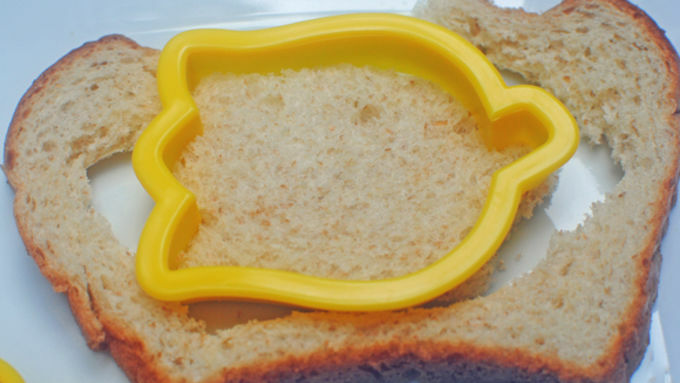 Using a cookie cutter, cut out one shape per slice of bread. 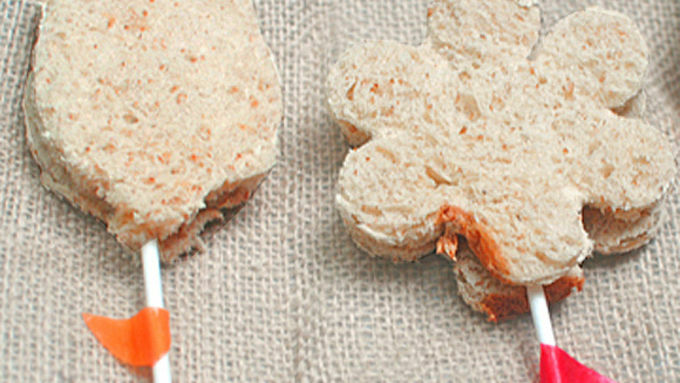 Make peanut butter and jelly sandwiches with the cutouts and slide the lollipop stick between 2 cutouts. Cut out leaf shapes from the fruit rollup and fix to the lollipop stick. I was always über jealous of the kids who had the extra-fun lunches. Maybe they were super creative, holiday-themed or had a special note inside from Mom. Whatever it was, they totes beat my plain Jane paper bag lunch! With back to school ideas all the rage these days, get creative with your kiddos lunches with these Lunchbox Sandwich Pops. Your kid's lunch will be envy of the cafeteria! I chose to make flower cutouts, but you can use any cookie cutter shape you like. First things first, pick out your shapes and get some good, sturdy sandwich bread. Put a slice on the plate or cutting board and start cutting out your shapes. When you’ve made a clean cut into the bread and the cutter is still attached, pull away the crust and extra pieces of bread. Voilà - a perfect shape! Using peanut and jelly (or whatever type of sandwich is your kiddos fave), make a sandwich like you normally would using the fancy cut out bread shapes. 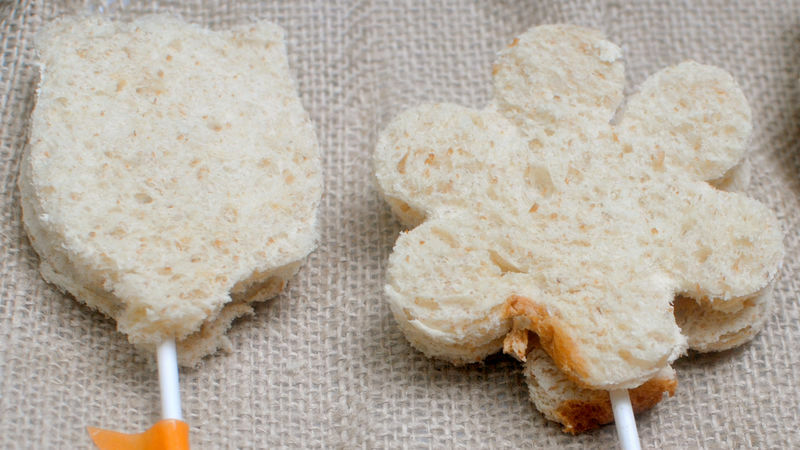 If the sandwich is "sticky enough", add an extra creative touch by putting a lollipop stick in between the two pieces of bread. Use fruit rollups to cut out leaf shapes to adorn the stick! Refrigerate the sandwiches so the lollipop sticks are really stuck in there. Your kiddos won’t dread back to school time with these fun lunch treats!